This article appears in the June 2018 issue. Click here for a free subscription. Ben Tarassoli admits his Propella electric bicycle is neither the fastest nor the flashiest on the market. But he will put it up against all makers who seek that elusive “sweet spot” where function and form meet at the intersection of Yes! and Awesome! Weighing about half as much (34.5 pounds) as the average e-bike and starting at a price ($999) that allows you to still buy groceries, the Propella is now in Version 2.2, which Tarassoli expects to be ready for delivery later this summer. Versions 1.0 and 2.0 — about 300 units in all — sold out in 2016 and 2017. 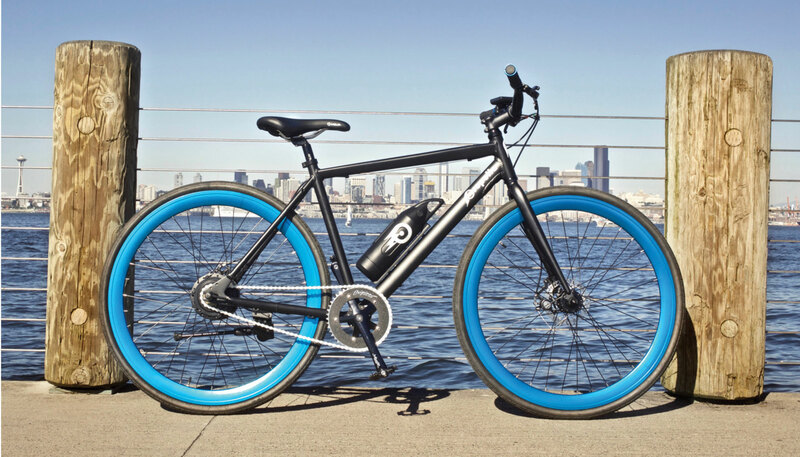 Tarassoli couldn’t find an e-bike that was lightweight and reasonably priced, so he started Propella Electric in his parents’ garage in Kirkland. Having raised more than $220,000 in Indiegogo crowdfunding, he has moved the operation to Redmond and now boasts three employees, though Tarassoli says he remains the sole full-timer. “Propella has all the benefits of a simple bike,” Tarassoli declares, “with a boost of power.” Riders can select how much of a boost by manipulating a control panel on the handlebar. The electric assist from the lithium ion battery kicks in as soon as the rider starts pedaling. Happy Propella users include a commuter who says his hilly, 45-minute commute has been cut to 30 minutes and an exerciser who says the bike helped her deal with a chronic health condition. The Propella, manufactured in China and Taiwan, comes in single-speed ($999) and seven-speed ($1,199) models. A carbon-fiber front wheel ($249), which reduces weight by an additional 1.5 pounds, is available. But Tarassoli says Propella’s elegant simplicity and minimalist design are its big selling points.